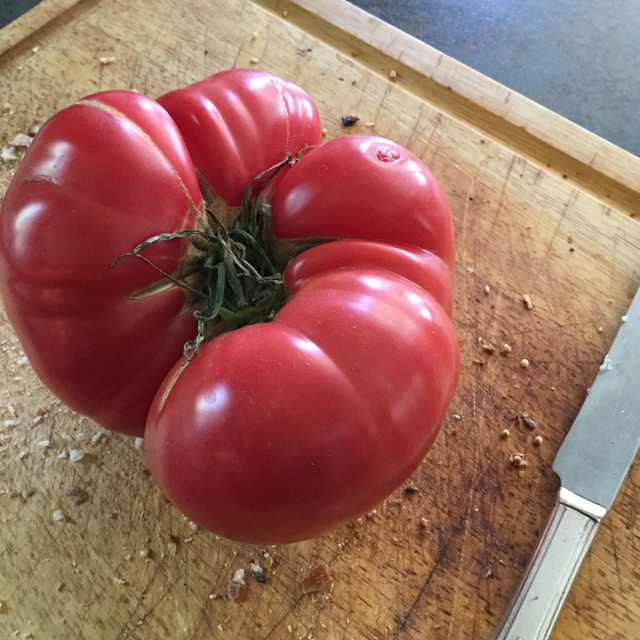 In the past year, I can’t think of any food which has graced our supper (and breakfast, and lunch) table more often than the simple… tomato. It helps that I order a Lufa basket every week since, in their greenhouses, they grow your basic varieties but also such heirloom stunners as the divine Brandywine. Plus, for the past year, I’ve been working on a book about Montreal’s Italian culture, and goodness knows Italians love their tomatoes! The Brandywine or other heritage tomato are ideally suited to summer tomato salads. They don’t have to be red, just sun ripened to perfection. It’s well worth seeking them out for this recipe. With the most gorgeous of Brandywine in da house, and given my current love affair with Italian food, I decided to finally put together a famous salad I’ve known about for years, yet never bothered. As in, why oh ! why did I never try this until now? 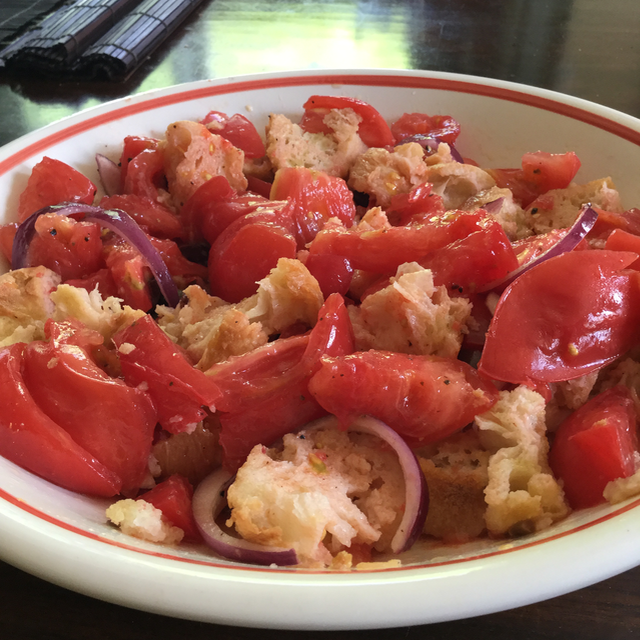 A riff on a panzanella, this tomato and bread salad is, to put it plainly, out of this world gorgeous. It relies on few ingredients, so they must be of the utmost quality. In-season tomatoes, perfectly ripe and window-sill warm. Great fruity olive oil with little expense spared. And day-old crusty bread that’s been sitting forlornly on a kitchen counter, waiting to be cut into great big chunks of stale goodness. 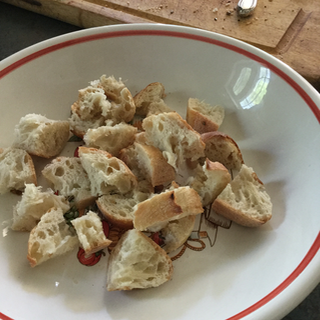 Start with crusty bread that you leave to dry overnight. Or conversely, you could slice fresh bread and dry it in the oven at a low temperature until it’s crunchy, but not browned, on the outside and a little soft inside. 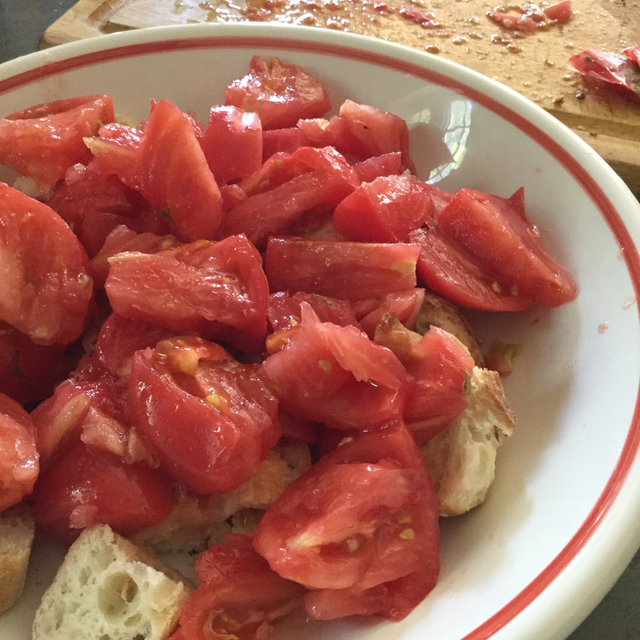 Some of the panzanella recipes out there suggest adding other vegetables such as cucumber and pepper, but I just wanted that tomato to shine in this first of my summer salad solos. And boy, did it ever. 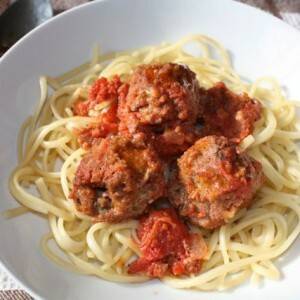 I limited garnishes to the gentle bite of red onion, the vinegar humour of capers and the meatiness of kalamata olives. I guess a black olive here might have been more Italian, but I’m a kalamata girl through and through. The trick here is to spread the large-diced tomatoes all over the bread and leaving them to imbibe the bread below in juicy goodness. So here it is, the most basic yet exciting of dishes: the Tomato-Bread Salad. Please make a point of trying this when field tomatoes start appearing at your farmer’s market, it won’t disappoint. 1. Cut the bread in large dices without removing crust. 2. 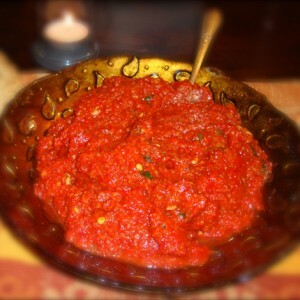 Cut tomatoes in large dices and spread over bread in a large bowl. (Do so above the bowl so you can retrieve all the precious fresh tomato juice.) Cover and let rest 1 hour on kitchen counter. 3. 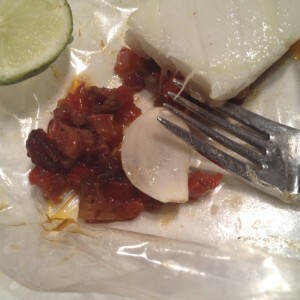 Add remaining ingredients and mix gently to imbibe bread cubes thoroughly. 4. Serve right away preferably. This salad will keep a few hours but some may find the bread too mushy for their taste.